Possession iconic turning ring in red gold and one diamond is now interpreted in a long pendant with ornamental stone. 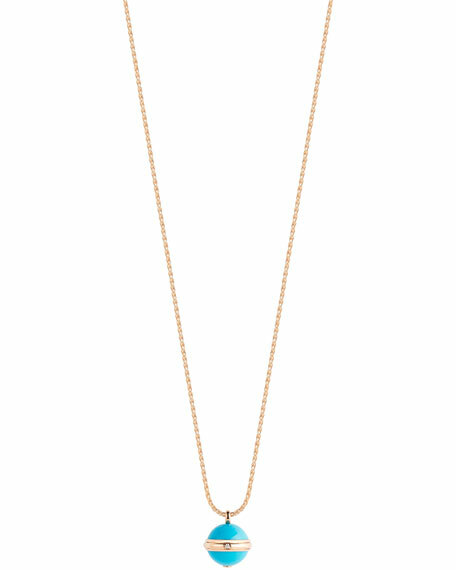 PIAGET necklace from the Possession Collection. Turquoise cabochon pendant with single diamond detail. Brilliant-cut white diamond; 0.01 total carat weight. 16.40 total turquoise carat weight.